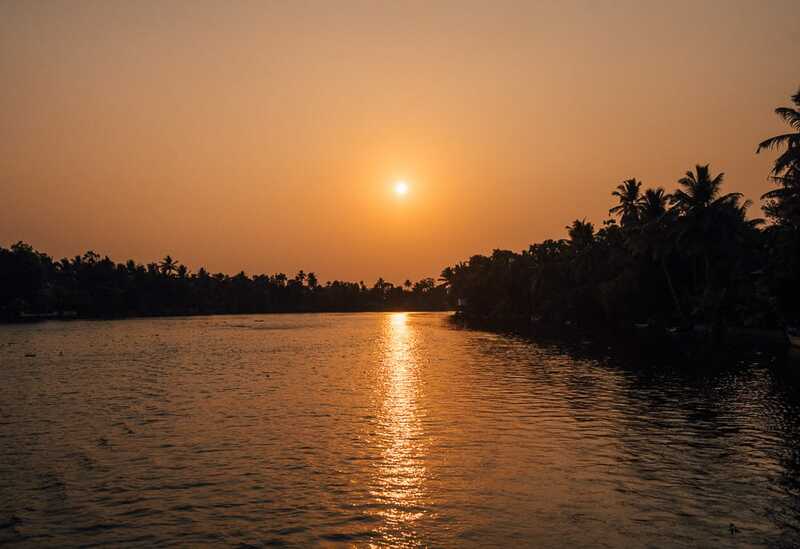 Alleppey, also known as Alappuzha, is often referred to as ‘Venice of the East’ due to its many interconnected waterways and colourful canal-side villages. 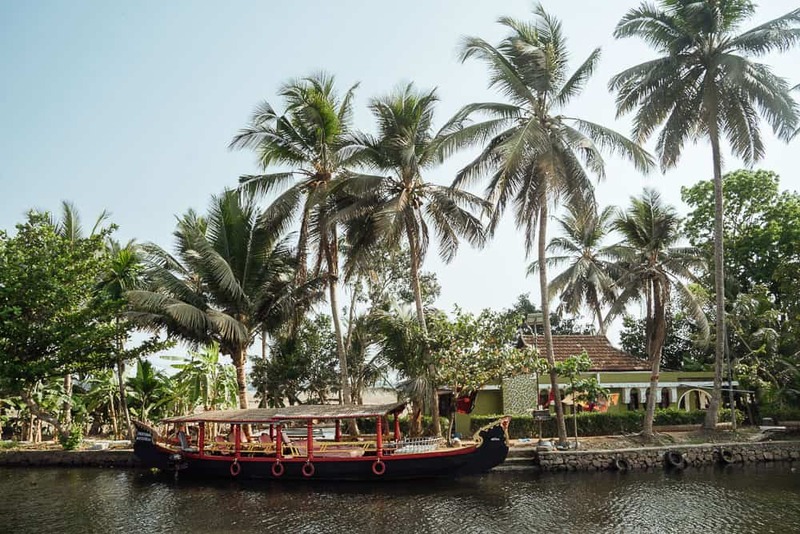 An enchanting cruise onboard the Alleppey House Boats is by far the best way to explore the famed Kerala Backwaters! 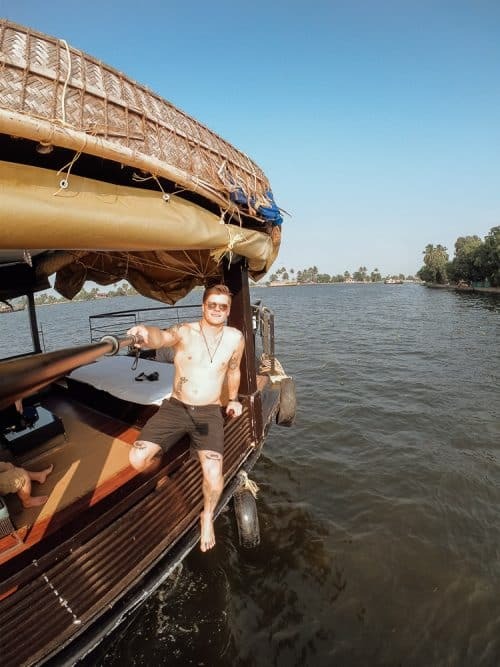 As there are many different houseboat locations in Alleppey, it is best to organise your Alleppey houseboat booking online in advance. 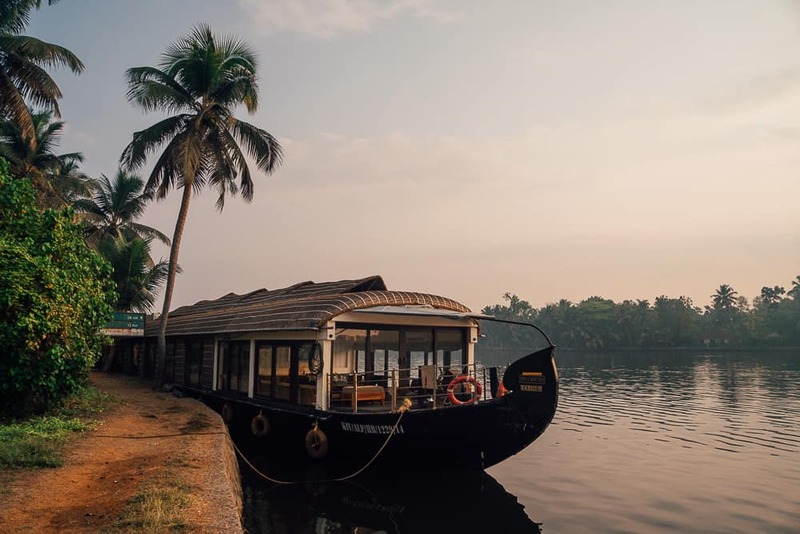 Whichever Alleppey houseboat company you decide to do the Kerala backwaters tour with will be sure to include hotel transfers for you. 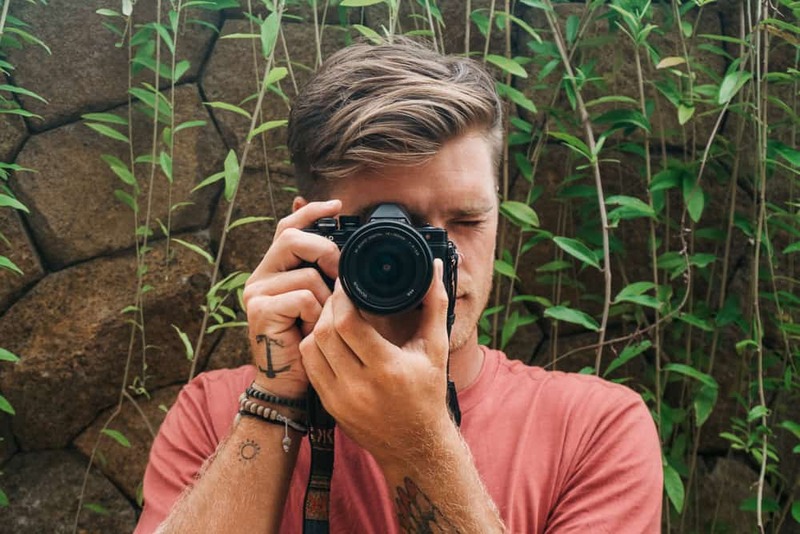 There is a couple of Kerala boat house package options to choose from, including day cruises and overnight cruises. Click Here to see all Alleppey boat house rates and book online in advance. 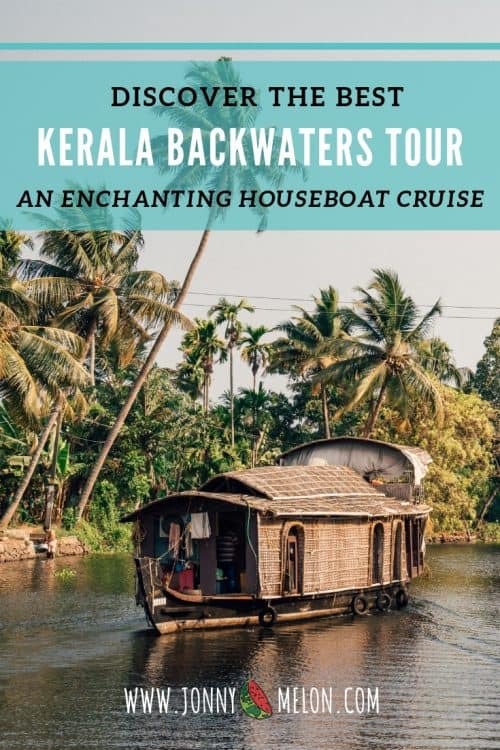 My two friends and I opted to do to an overnight Alappuzha boat house cruise with a company called Rainbow Cruises, which in my opinion is one of the best houseboat in Alleppey. 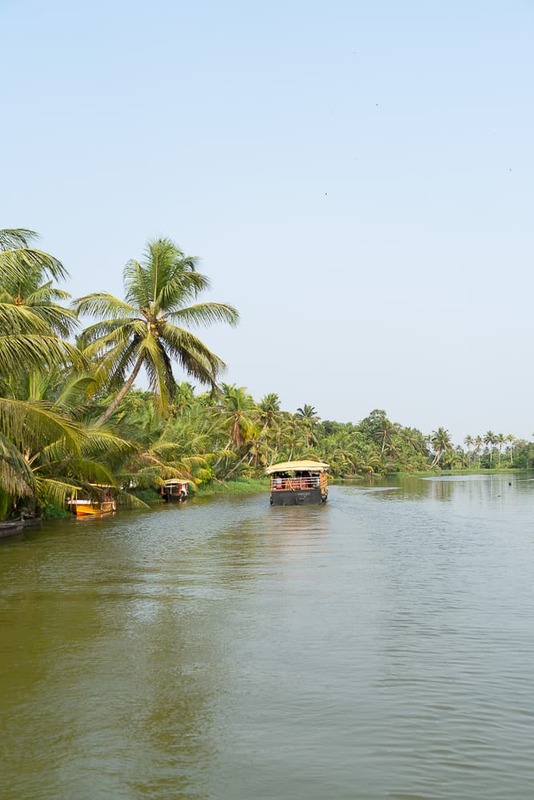 We boarded our boat at around 12pm and set off down the enchanting Kerala backwaters. 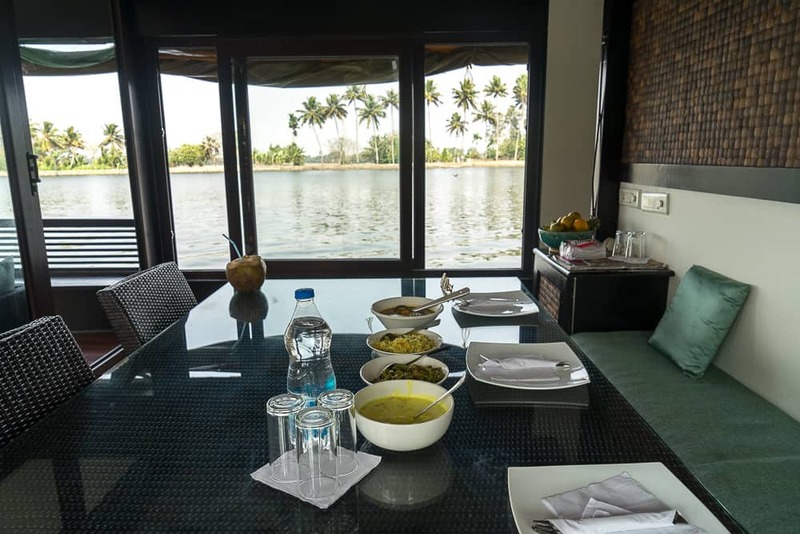 After checking in to our private rooms, a three-course lunch was served at the dining table towards the front of the houseboat. A variety of Indian cuisine, such as curries, chicken, fish, dahl and papadums went down a treat. We also came prepared with a few bottles of beer that we had bought from the liquor store before the Alleppey backwater tour. 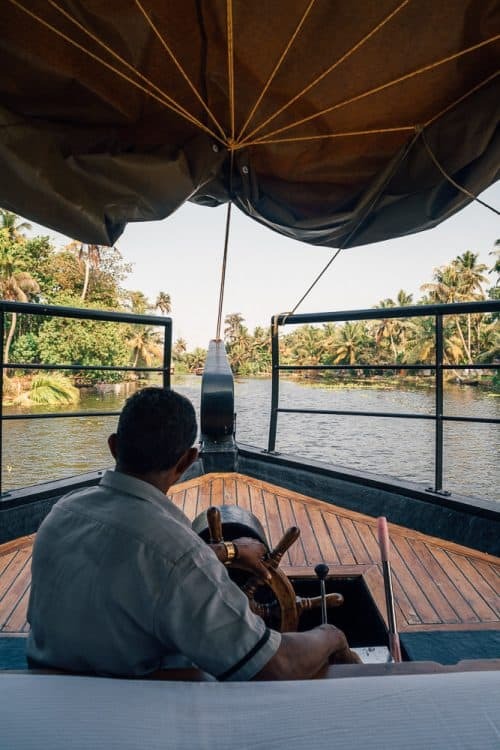 We spent the entire afternoon cruising down the watery heaven of the Alleppey backwaters, taking in the beautiful sites along the palm tree fringed canals. The tranquillity that surrounded us as we floated aimlessly down the canals was something I will never forget. 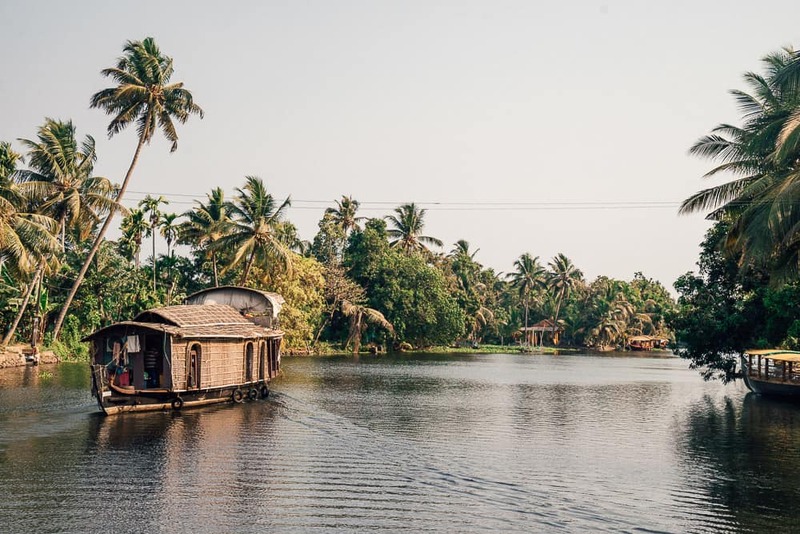 The Alleppey house boat tour is not just exquisite window views but it will also give you a closer look into the daily lives of the local villagers in the region. Shortly after sunset, our captain docked the houseboat to the edge of a canal for the night and the crew prepared another three-course dinner for the three of us. Yet again, the food and hospitality were incredible! 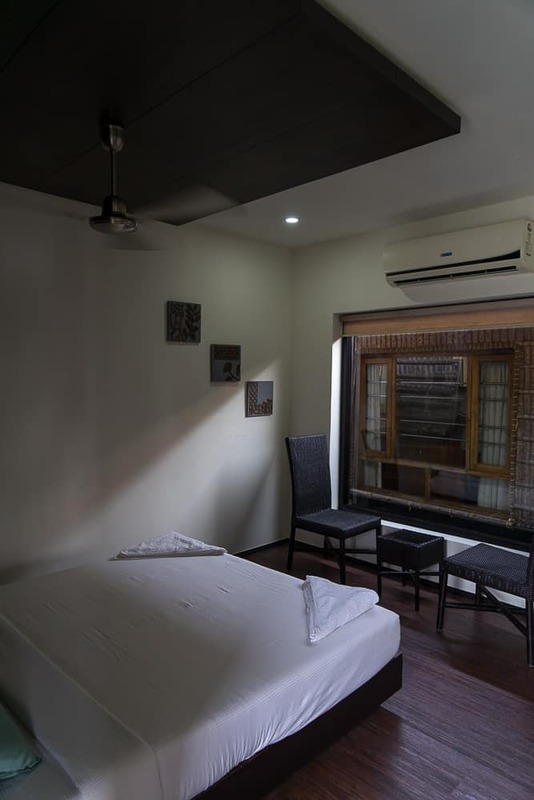 Each bedroom has a large double bed, air conditioning, ceiling fan, sitting area, wardrobe and an ensuite. Rainbow Cruises is known for its gold star rating given by the Department of Tourism in Kerala. I slept like a baby on the Alappuzha boat house this night and woke up to the sun rising over the best backwaters in Kerala! We enjoyed one last meal onboard the Alleppey boat house which included pancakes, fruits, tea and coffee as we voyaged to towards our final destination. From here, a car transfer was awaiting to take us to our next hotel. 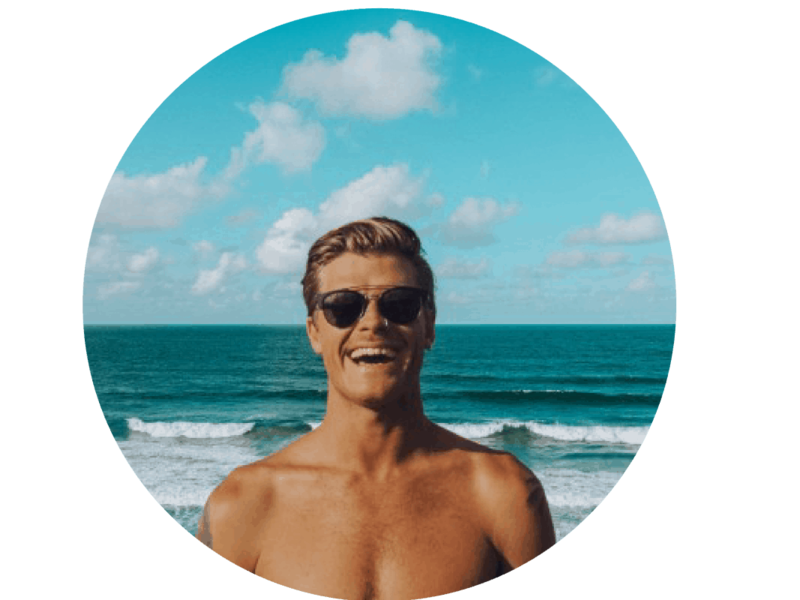 Majority of travellers choose to stay in the main city of Kochi before or after the Alleppey houseboat tour. 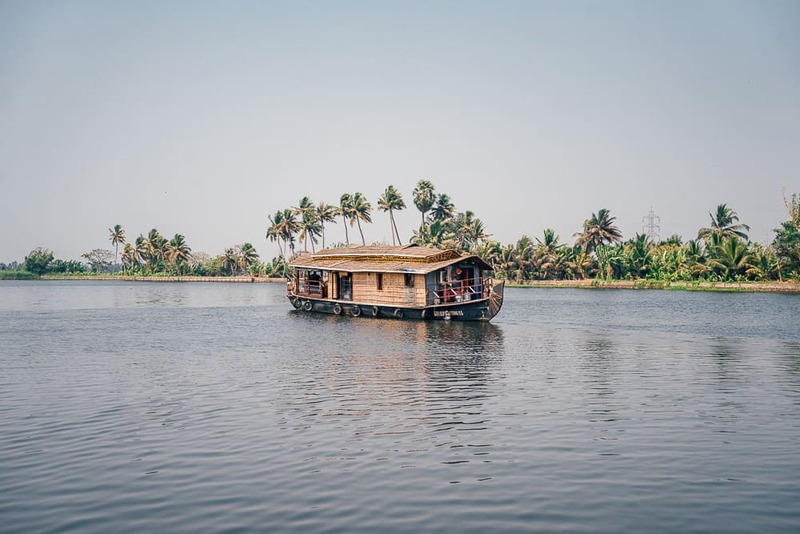 I hope you enjoyed reading this article and if you have any questions about the Alleppey house boats, please leave me a comment below and I will get back to you as soon as I can!